Because you haven’t seen the real aging until you reach your 40s. As a beauty blogger, I often get emails and comments from women in their mid 30s and early 40s, who feel they have unexpectedly aged overnight. I’ve been a silent reader of your blog for a while. I love reading all your posts and product reviews. Must say, your writing style is very interesting and entertaining. Normally, while reading reviews on other blogs, I just jump straight to the review (pros, cons and final word for the product) but at road2beauty, I love reading the entire review, from the beginning to the end. You are so awesome! However, there’s one thing I seek your advice on. I have recently turned 35 and people who used to guess my looks 10 years younger, now guess my age right on. I wonder what happened in last couple of months that I suddenly started looking old. But yes, I have actually faced two heavily stressful transforming life events almost simultaneously in six month’s time. First is the birth of my daughter six months back. And second is my promotion from Senior Delivery Manager to Group Delivery Manager about three months back. My lifestyle is such I’m either at laptop or nursing my baby with absolutely no time for salon facials or dermatologist appointments. I went through your posts on night creams and best anti aging cream but couldn’t quite decide which products should I use. My skin type is oily with fine lines, dark circles, and pigmentation marks on cheeks. Could you please suggest me with some products that can help me in battling all these issues? Cost is not an issue. Just want products that really work. Hi, Shreya. Welcome to motherhood! And thank you for getting in touch and appreciating my work. Being a busy working mom myself, I understand how it feels, when one fine day you just pause near the mirror and see all those strange lines, deep seated wrinkles, uneven skin tone and streaks of grey in your shiny black mane peeping back at you with their ugly heads. And you begin to wonder, is it for the real or some distortion in the mirror? Well, don’t worry dear, you are not alone. Most of us are so busy with our work, families, catering to the needs of everyone that we tend to forget and neglect ourselves. And the result – harsh reality! Aging hits us on the head as we tend to look dull and wrinkled overnight. But I would say, if you are one of those to spot the signs of aging, you are lucky! Because now you are no more in illusion of youth, you can now clearly see the writing on the wall and make changes to reverse the clock and bounce back healthier and prettier than you had ever been. I am saying this with such conviction because it has happened to me too. And this does not happen overnight. The body is building up to the change and the stressful event only brings it to the surface. Hence, merely looking for skincare and hair care products that would miraculously make you look 10 years younger cannot be the only solution to this problem. Since the causes of your problem are mainly internal, the solution also needs to be wholesome and internal. Here’s what I did and what you can do too in your early 30s to reverse the signs of aging, look 10 years younger and continue to look radiant and attractive in your 40s and 50s. To ensure you look 10 years younger, even when you are well into your 40s and early 50s, start early and start with what you put into your mouth. A diet, super-rich in antioxidants and fatty acids would successfully fight any free radical damage, environmental stressors and help in maintaining the natural radiance and elasticity of your body and skin. One primary cause of premature aging, dull skin, and weight gain is eating too much of processed foods, consuming alcohol and carbonated drinks and of course smoking. While, serious damage may not show in your 20s, 30s and even in your 40s, things get dramatic once you move into your 50s. Once you hit 50, you notice, you’ve lost all youth, attractiveness and appeal. If you need to lose any weight, do it now – in your 30s. Because after 40, our metabolism slows down dramatically; making it extremely difficult at that age to fulfill your weight loss goals. Also, after 40 the skin is less elastic and subjective to sagging as a result of any weight loss. It’s a widely accepted fact that a slim and fit body anytime looks years younger than an overweight and stout silhouette. So if you want to look young and attractive even in your 40s and 50s, one good way to do it is by exercising and boosting your metabolism when you are still younger. A boosted metabolism would ensure that you don’t gain weight at an age when you’re most likely too. So in order to look 10 years younger and keep looking beautiful for longer, you must start with some kind of stress relief practice daily to put yourself back into the zone. Prevention is always better than cure. And importance of wearing sunscreen daily cannot be stressed much for preventing fine lines, wrinkles, dark spots and pigmentation due to unprotected UV exposure. So for problem free skin in your 40s and 50s, make sure you wear a moisturizing sunscreen daily right from your 20s and 30s. In addition to wearing a daily spf for photo damage prevention, you also need to use an antioxidant serum for preventing and fighting any free radical damage from pollution and UV rays that are not blocked by the sunscreen. While, a potent Vitamin C serum would be an ideal pick, even a simple moisture serum fortified with antioxidants can also do the job. Remember, something is better than nothing! Once, you hit your 30s, skincare becomes a little more than a basic CTM routine. Cell turnover becomes slow, meaning new cells take long in reaching the surface making skin look dull and less radiant. A daily retinol based night time product would not only hasten the cell turnover process but also boost collagen production making skin look younger and radiant. The daily practice would help erase and delay the appearance of any fine lines and wrinkles. Try Neutrogena Rapid Wrinkle Repair Night Moisturizer or a prescription retinol product, such as Ega cream. Whether you have dark circles or not, use of an eye cream becomes necessary in this age to prevent the proliferation of crow’s feet at a later age. Add a product that targets both head on. Here’s a list of some good eye creams available in India to take your pick from. To help your skin absorb the beauty products you use on a daily basis, try exfoliating your skin once every week. Depending on your preference and skin type, you can choose between chemical exfoliants (AHA, BHA, lactic acid etc. based products) or physical exfoliants (facial brush, scrubs with micro beads etc.). Face masks can do wonders for your skin. And 30s is the time to get serious about your skincare regimen. Start applying a weekly face mask with potent ingredients. Again depending on your skin type, you can choose between version of deep clean face packs and hydrating face masks. While there is plenty of anti aging information and beauty tips for women over 40 to look 10 years younger than their real age but everything boils down to these above ten basic beauty tips for perfect health and youthful looks at any age. 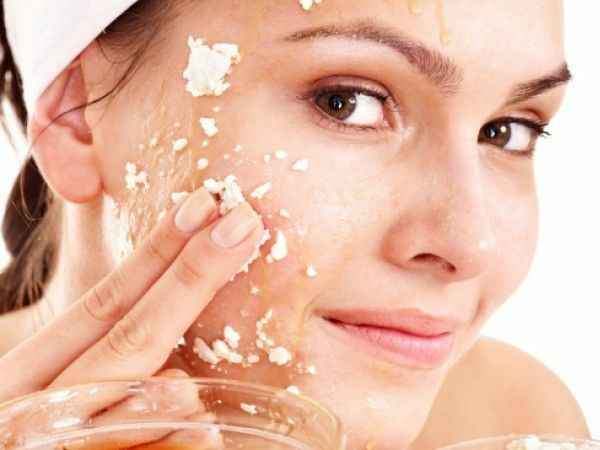 I hope you enjoyed reading these beauty tips for women in 30s and if you really liked them, please share the article with your friends and family to spread the love. Nice set of tips. Am in my twenties. But I wish I can maintain my skin and look the same 10 years later.